What does the CaviMax® do? CaviMax is the machine; hydrodynamic cavitation is the process which maximises the potential of your biogas plant. 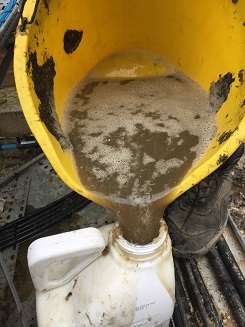 By installing one in your plant you could increase your methane yield by (we've had results ranging between 10% and 56% increase of methane yield) and utilise previously inaccessible feedstocks. 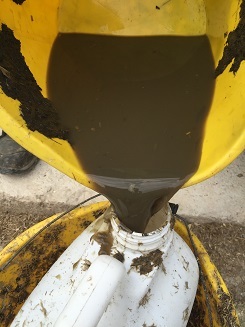 Finally unlock the energy potential of straw, grass and high lignin feedstocks easily, or maximise the output of your current anaerobic digestion plant, the choice is yours. 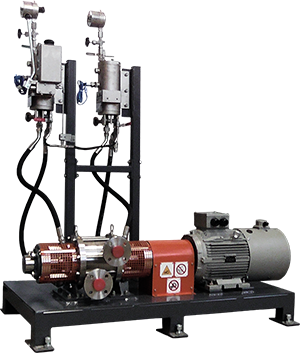 This is a plug & play inline process intensification device – no additional chemicals needed, just install and away you go. Hydrodynamic cavitation in the CaviMax harnesses these extreme fluid dynamic pressures that cause particle disintegration and cell disruption. The CaviMax can break down cell walls in recalcitrant materials, creating a flowing mass which aids microbiological access to the cellular juices, so enabling the use of high lignin feedstocks. 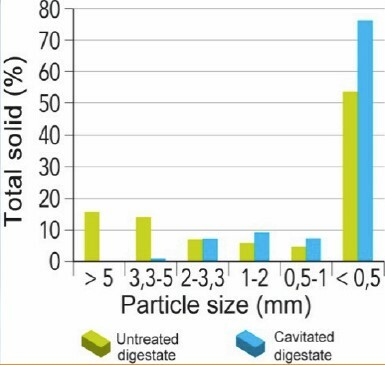 The graph opposite show the sizes of particles in treated and untreated digestate, as can be seen most of the larger particles have been transformed into <0.5mm once cavitated, un-cavitated digestate also contains the smaller particles but also a fair proportion of >5mm particles that can contribute to the floating layer or simply pass through partially digested. ​What is process intensification and why is it sustainable? Process Intensification (PI) improves the output of a manufacturing process over that of the existing model to achieve savings in waste, pollution and costs of production. Anything that reduces waste and pollution and consumption of raw materials for the same or more output is helping a company to improve its sustainable systems and carbon reduction aims. PI can be achieved physically, chemically, molecularly, biologically etc. all depending on the process being tweaked and the intensification method used. In all cases the effect should be to decrease the complexity of a process, the physical footprint of the plant and the ingoing materials to achieve the same output, or to speed up the rate of chemical / biological reactions and thus saving time achieving an end result, all of which have the added benefit of increasing the profit margin. Hydrodynamic cavitators are deemed process intensification devices for just these reasons; PI gives you more bang for your buck as we say. What processes in the AD plant can be made more efficient by hydrodynamic cavitation? Accelerated hydrolysis, acidogenesis, acetogenesis & methanogenesis; breakdown of recalcitrant feedstocks; reduction in energy use for agitation; reduction in retention time; decrease in floating layer, decrease in substrate viscosity etc. Please visit the CaviMax Cavitator menu tab above for a full breakdown of features and benefits of the CaviMax for the biogas world. What is a recalcitrant material? Any material with a slow degradation rate, in the case of anaerobic digestion this would be a feedstock which would either be unable to be broken down or digested at a fast enough rate to be viably used to produce methane biogas quick enough to be profitable. 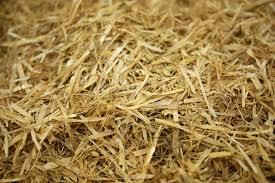 Straw, grasses and any biomass with high lignocellulose content fit into this category as they slow down the hydrolysis phase, the anaerobic digestion microorganisms have a difficult time of it to break these down to release the energy and either pass through undigested or add to that difficult to manage floating layer. Why would I want to use a high lignin feedstock – straw/grass? 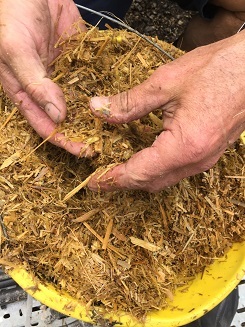 Straws and grasses are cheap and plentiful feedstock supplies, which if rendered more usable would be great to add to your feedstock portfolio. 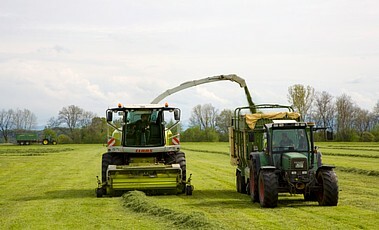 Grass can also be seen to be sustainable due to the use of harvesting marginal land which is not in competition with food crops; however, it is a difficult feedstock to use without pre-treatment. There are many papers available that say that pre-treating anearobic digestion feedstocks can give you the edge in biogas production. The blue table above is from the paper “Pre-treatment of feedstock for enhanced biogas production” – by MONTGOMERY AND BOCHMANN 2014, which shows the merits and problems of a variety of AD feedstock pre-treatment processes. Hydrodynamic cavitation was not a technology reviewed, to enable comparison we have added the row in green. As can be seen only alkali, steam and hydrodynamic cavitation treatments have the ability to break down lignin. We leave it to you to make up your own minds regarding which treatment is best for your plant, as of course we are going to say hydrodynamic cavitation is the best way forward regarding increased efficiencies and ease of use. We have provided links to various scientific and engineering papers in the further reading tab above, so that you may research fully any claims that we have made on our website regarding process uplift, features and benefits. 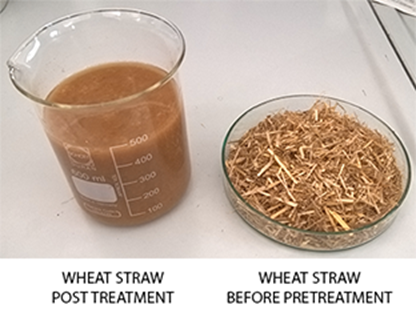 Wheat straw pre and post hydrodynamic cavitation, plain water was introduced to hydrate the sample to a pumpable sample to pass through the cavitator. In this experiment pre-treating wheat straw with the ROTOCAV hydrodynamic cavitator increased the specific surface area, total pore and micropore volumes by a factor of 50%, compared to the wheat straw prior to pre-treatment, it also resulted in a biomass delignignification by a factor of 25% and deacetylation of carbohydrates. Plain water was introduced to hydrate the sample to a pumpable sample to pass through the cavitator. Once again plain water was introduced to hydrate the sample to a pumpable sample to pass through the cavitator.